Football is big business, we all know that, and anyone who had any doubts as to just how big, received a wake-up call with Neymar’s outrageous £198 million move to Paris St Germain this summer. Yet even this pales into relative insignificance when put alongside the international television revenues that are generated every year around the globe. These are currently distributed equally among the 20 Premier League teams – a situation that the “big six” are keen to change. When the Premier League first came into being, revenue was predominantly generated by UK TV deals, and those who wanted to place a bet walked into a betting shop, or perhaps picked up the phone. Today, the latter has been replaced by UK football betting sites online, which attract visitors from across Europe and beyond. This is generally understood and acknowledged, but the point that many miss is that today’s TV audiences are similarly diverse. There are more than 80 international television deals in place, bringing in around £800 million every year. At the rate these are growing, that number will soon top £1 billion. While this is still smaller than the £5.1 billion generated by domestic revenues, it is increasing at a far greater rate, and the method of distribution is entirely different. At present, domestic TV revenue is shared out such that one third is divided equally, one third on merit, based on the final position in the table, and the final third in “facility fees” according to those matches that were televised. This works out at each position in the table being worth around £2 million, and every televised game £1.2 million. International TV revenue, on the other hand, was such a small contributor back in 1992 that it was simply shared out equally between the 20 clubs, and this remains the system today. The “Big Six” clubs of Manchester Utd, Manchester City, Liverpool, Tottenham, Arsenal and Chelsea feel that they do more to bring in this revenue due to their global appeal, and therefore that they deserve a larger share. 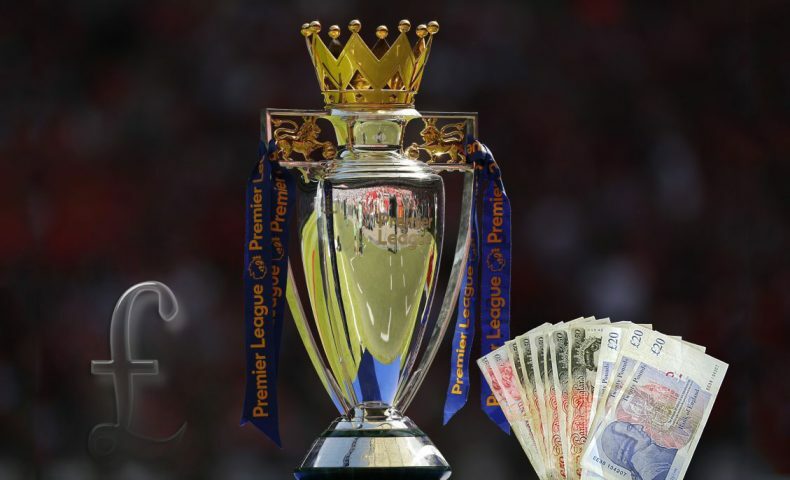 Together, they have put pressure on the Premier League to come up with a proposal, which Richard Scudamore duly unveiled and presented to all 20 Premier League clubs at a meeting last week. His suggestion is that 65 percent will be shared out equally, and the remaining 35 percent on “merit payments” based on league positions. To put that into context, if the system had been in place last year, it would have increased champion side Chelsea’s take by around £12 million, and reduced bottom placed Sunderland’s by the same amount. Any change requires approval by at least 14 of the 20 clubs. Rumor has it that as well as the Big Six, the “middle class” teams of Everton, West Ham and Leicester are also supportive. However, the other eleven teams are said to be strongly opposed, suggesting that this is one debate that could run and run.